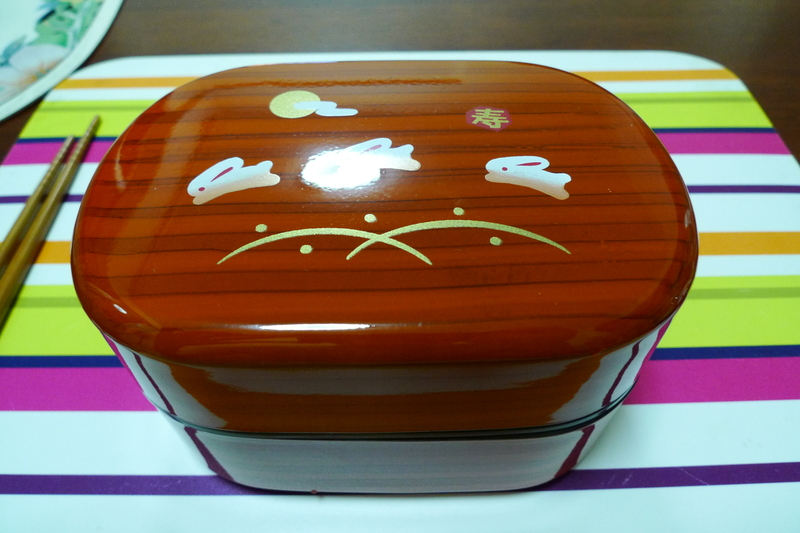 Finally I got to use the bento box I bought in Tokyo! Using some recipes from this bento box book I borrowed from the library, I filled up the bento box with a really simple dinner meal. 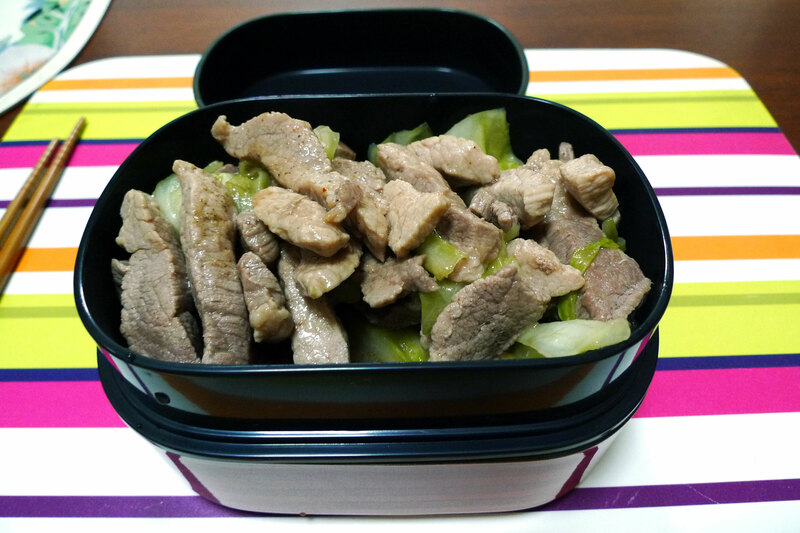 On top is stir-fry pork loin cubes with cabbage. I used Worchestershire sauce in making this so there was a nice tangy vinegarish taste to it. 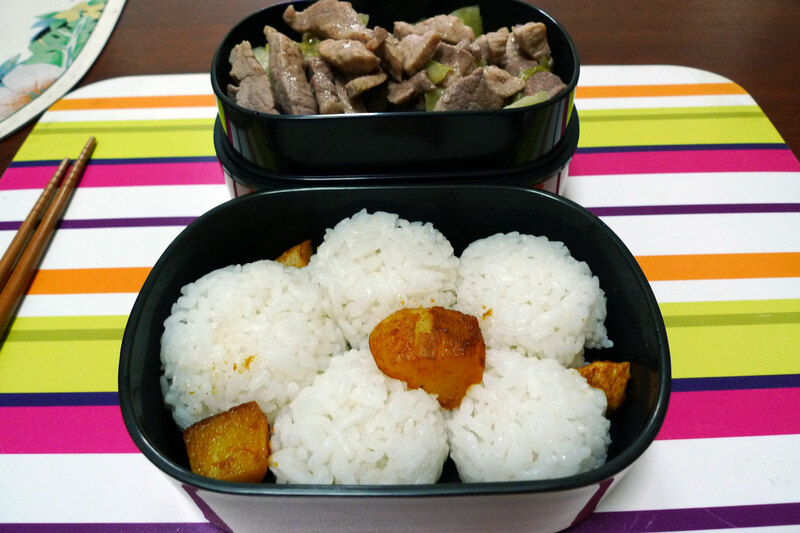 4 Responses to "Home-made bento dinner!" Wow! I love eating my meal from a bento box! Yummy finger lickin good! Hehe yah it makes for good practice when you have to make one to bring to work for late dinners!